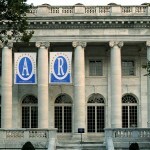 Daughters of the American Revolution - Washington D.C.
Daughters of the American Revolution – Washington D.C. Founded on October 11, 1890 by Mary Smith Lockwood, the National Society Daughters of the American Revolution (DAR) continues to carry the torch of patriotism in Washington, D.C. On this day, eighteen women and four of the six Sons of the American Revolution attended and eleven members paid their dues to open the business with just $33 in their bank account. It was Mary Virginia Ellet Cabell (1839-1930) who proposed “the building of a House Beautiful,…the finest building ever owned by woman…”. She would live to see not only the realization of her vision, but also the additional National Headquarters buildings: the Memorial Continental Hall, Constitution Hall and the Administration Building. These buildinga are constantly undergoing historic restoration to keep the buildings functioning and up to historic preservation standards. 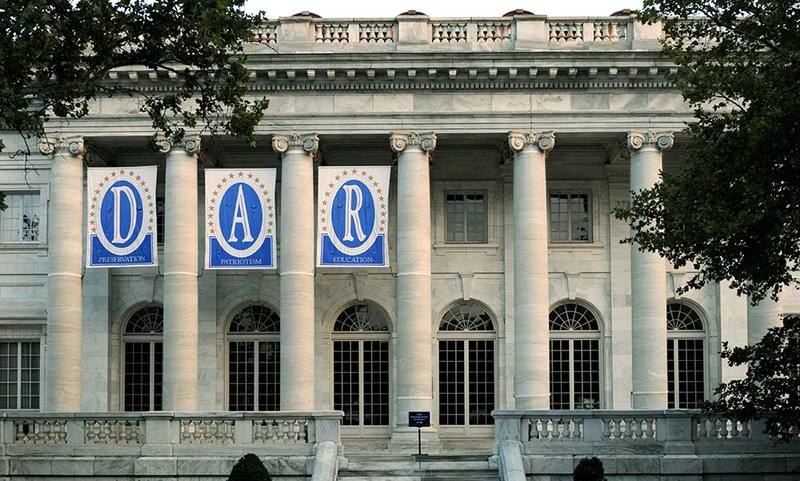 The DAR Headquarters in Washington D.C. vast expanse consists of a complete city block near the White House and is one of the world’s largest buildings of its kind that is owned and maintained by women. The Memorial Continental Hall, the oldest building of the DAR, was designed by prominent Washington architect Edward Pearce Casey, and still stands tall dating all the way back to 1905. The design for the building is in the Classical Revival style of the fine arts. Because of its classical detailing, the Hall fits in well with the Colonial Revival movement. The Hall’s prominent role in world history includes presenting the famous Conference on the Limitation of Armaments in the wake of World War I (1921). Diplomats from all over the world met here to discuss the limits on the proliferation of arms. Their work here remains a recognized milestone in global peace efforts towards disarmament. 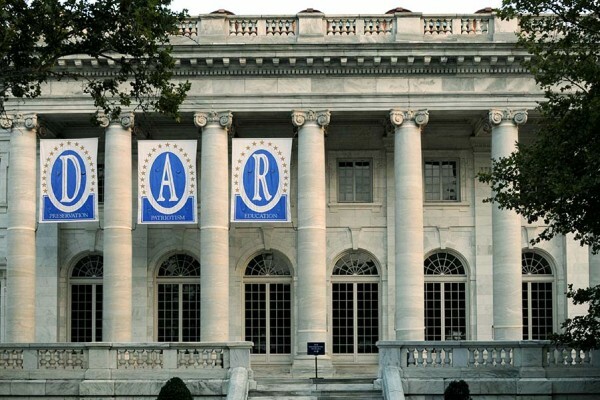 DAR Constitution Hall was designated a Registered National Historic Landmark Building in 1985 and the Memorial Continental Hall was designated as a Registered National Historic Landmark in 1935. The majority of Parrett’s work consisted of radius top French In-Swing Casements, our Concealed Spiral Balance Hung Windows and a radius top Single Leaf Door. All the windows and doors were constructed out of Sapele Mahogany that was factory finished on the exterior and interior by Parrett with a high performing catalyst based paint. The windows also featured modern insulated glass with a high performance low-e coating and a simulated divided lite pattern that matched the existing openings.